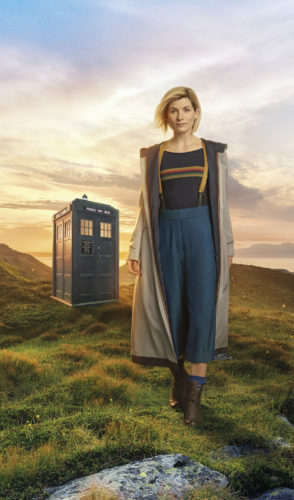 Though BBC America still has not been more specific than “Fall 2018” for the television debut of Jodie Whittaker as the 13th Doctor, cast and other creatives from Doctor Who will be making their debut at Comic-Con International in San Diego in July. Having led the way with moving television series from Ballroom 20 to the larger Hall H, Doctor Who has been a mainstay of Comic-Con since at least 2011. The panelists won’t all be new to San Diego, as new showrunner Chris Chibnall has been there before, promoting Torchwood and episodes he had written for the Time Lord in David Tennant’s incarnation. Panel host Chris Hardwick has also appeared many times, and if he’s not quite the King of Comic-Con (Conan O’Brien claimed the title last year), he should certainly appear in the gladiatorial games that ought to determine the title. Be nervous, Nerdist, because Kevin Smith seems to have been working out. UPDATE: Hardwick has withdrawn as moderator. As of 7/2/2018, the new moderator has not been announced. 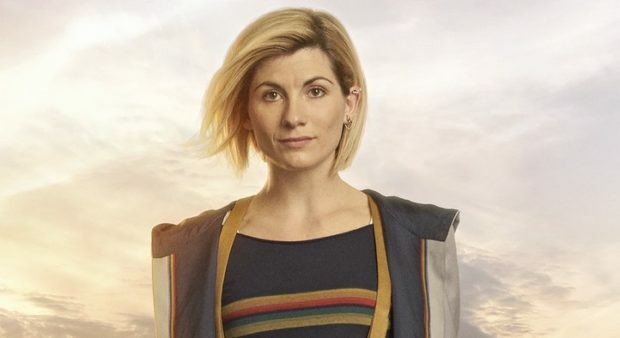 Jodie Whittaker will make her first official stateside appearance, and I hope she’s ready for the adulation. Joining her will be Tosin Cole and Mandip Gill, who play two of her companions, Ryan and Yasmin. Executive producer Matt Strevens will also be on the panel. With this team, the Doctor Who panel may be one of the most popular at Comic-Con. The official Comic-Con schedule has not been released yet, but with Marvel Studios not appearing, this would make Saturday a plum slot for Doctor Who and all the attending Whovians.